Both the House and Senate returned to Washington, D.C. and have a total of 11 scheduled legislative days before September 30, which is the end of the current fiscal year. In order to avoid a shutdown, Congress must either finish all 12 FY 2019 appropriations bills in the next few weeks, which hasn’t happened in over 20 years, or pass a continuing resolution (CR) funding some, if not all, federal agencies and programs. Congressional leaders will meet this week to negotiate and propose packaging spending bills together, with the first likely being Energy and Water-Legislative Branch-Military Construction, in the hope of reaching agreements that can pass both chambers before the end of the month. 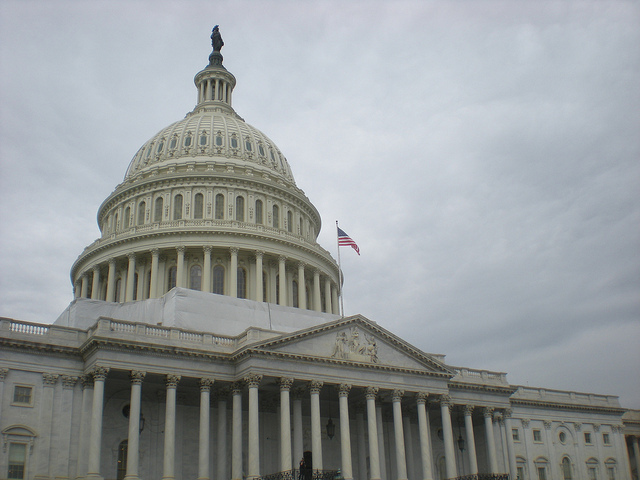 Another House-Senate combined spending measure could include the Department of Defense and the Labor, Health and Human Services, and Education appropriations bills (the latter funds most child care programs). The House is expected to consider a motion as early as today to go to conference on this bill. While Congress and the Administration work to complete the FY 2019 budget, the chances of success are……remote. During the summer, the House and Senate passed a number of combined FY 2019 spending bills, but since Congressional leaders will meet for the first time this week to discuss House-Senate conference bills, including which policy priorities could win bipartisan approval, it’s unlikely much progress will be made. Speaker of the House, Paul Ryan (R-WI), and Senate Majority Leader Mitch McConnell (R-KY) are hopeful Congress can agree to and pass nine final FY 2019 spending bills by the end of September. However, in all likelihood, a Continuing Resolution will be enacted for most, if not all, appropriations bills with the duration lasting until after the election in November. While Congress works on final, bipartisan spending bills, it appears that robust funding for child care programs will remain in FY 2019. This includes the Child Care and Development Block Grant (CCDBG), the Child Care Access Means Parents in School (CCAMPIS) program, and Preschool Development Grants, where both the House and Senate bills proposed maintaining funding levels identical to FY 2018. Learn more and take action on CCAMPUS funding. In addition to the federal budget, Congress has other priorities on its agenda, most notably the Farm Bill. House and Senate conferees are scheduled to meet the morning of September 5 to begin discussions on a final House-Senate bill in an effort to move towards final passage by September 30. The most controversial issue that could impede this effort is the proposed draconian cuts included in the House-passed bill for the Supplemental Nutrition Assistance Program (SNAP). SNAP is a nutrition program that supports low-wage working families, seniors, children, and people with disabilities. If enacted into law, the House-passed version would result in millions of school-age children losing access to SNAP, while the Senate bill leaves this critical program intact. Learn more and take action on SNAP. Lastly, hearings began today for Supreme Court nominee Brett Kavanaugh and is expected to be a long and contentious process, with debate on the nomination possibly lasting weeks in the Senate Judiciary Committee and on the Senate floor. This process will likely impact action on appropriations bills and the Farm Bill, possibly delaying final passage on these measures towards the end of the year. Please continue to follow Child Care Aware® of America for updates.